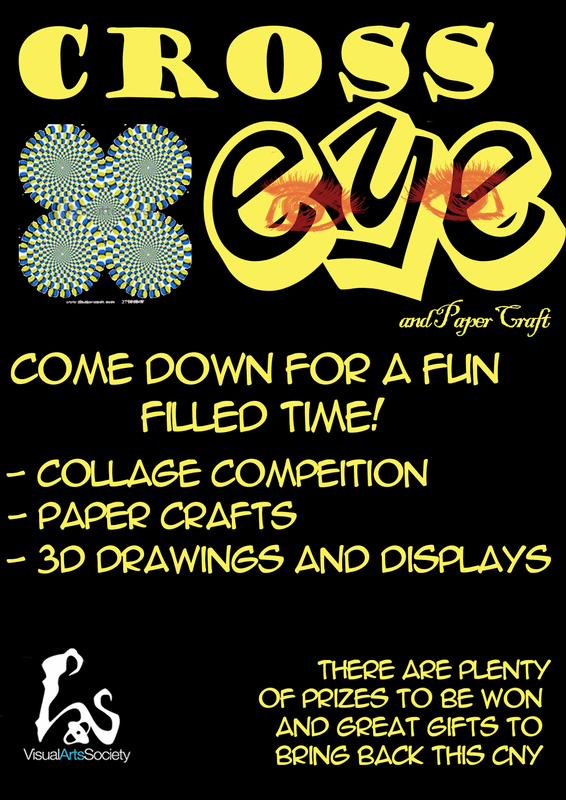 NTU Visual Arts Society News Blog: CROSS-EYE is BACK! This year, in celebration of the Chinese New Year we would have paper craft Bunnies available for you to come try it out! So do come over and try making one! 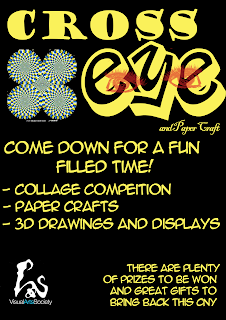 The aim of cross-eye is to increase awareness of visual arts among the students in NTU through the exhibition of 3D drawings and displays. These pictures will give the viewer 3D effects. But not everyone has the ability to see the 3D images from such pictures straightaway. This requires a special viewing technique to combine parts of the drawing into the 3D image.